It’s that time again, time to buy some art at an excellent price. This week I’m featuring a beaut titled “Grey Swedish Tree” that is 20″ square in diameter. 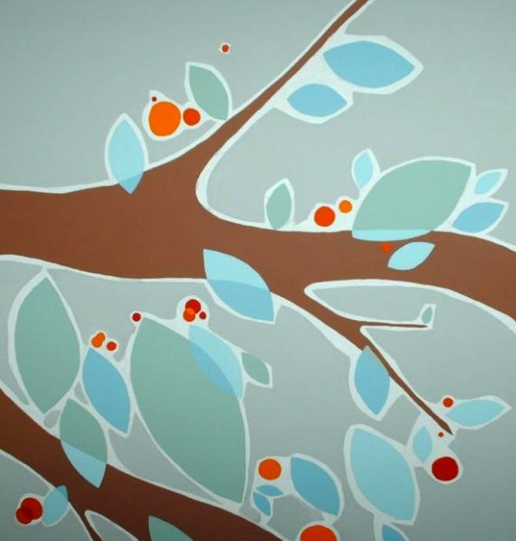 It’s a very simple, graphic painting of a tree using a subtle grey as the background and some muted blues and greens as leaves with a pop of red as the berries. It was already a steal at $175, but this week I’ll be giving it away for $135. Please email me at kristenlourie@hotmail.com if you’re interested.